First picnic of the season. We visited Hodsock Priory for the bluebells. 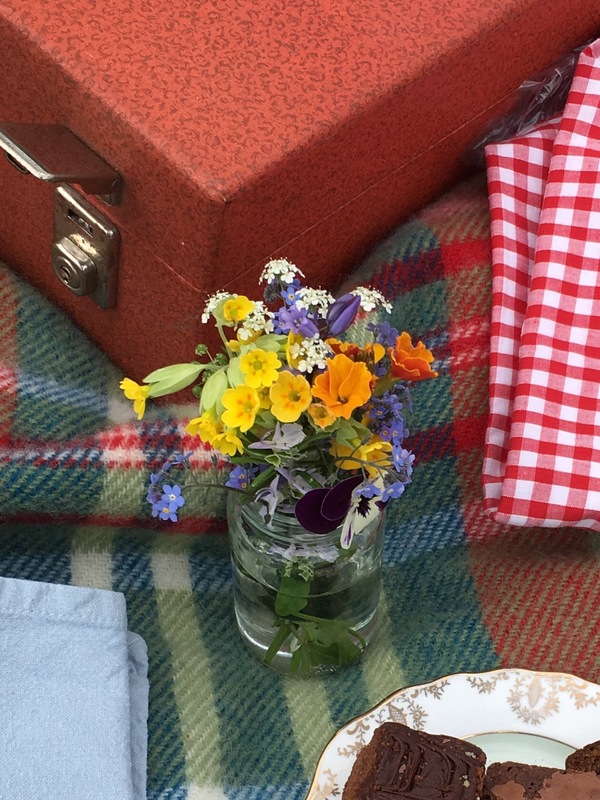 No picnic is complete without jam jar flowers- and chocolate cake. And this is the glorious view. I wrote about Hodsock snowdrops here. Also a must-visit for bluebells. Last chance to see them this coming weekend 6th and 7th May, 10-3pm. I’ve shared more photos over on twitter @kgimson. 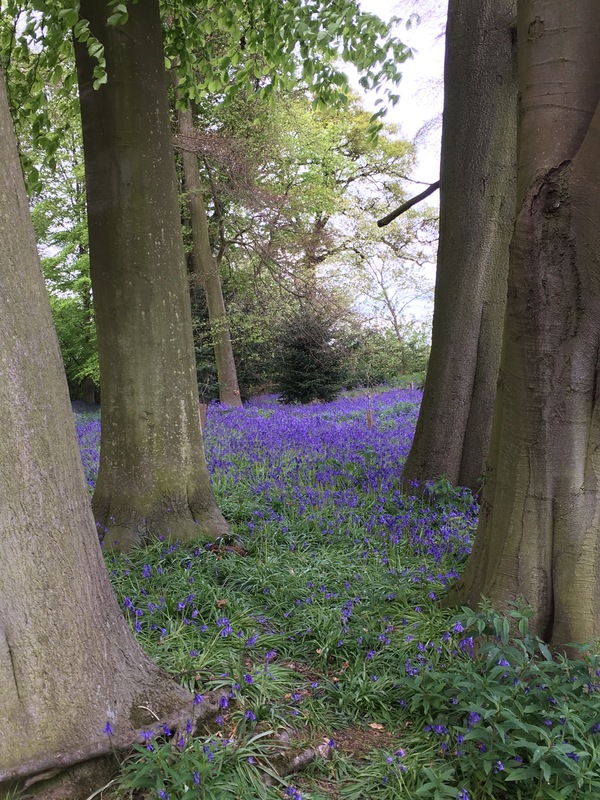 Do you have any favourite bluebell woods you like to visit? 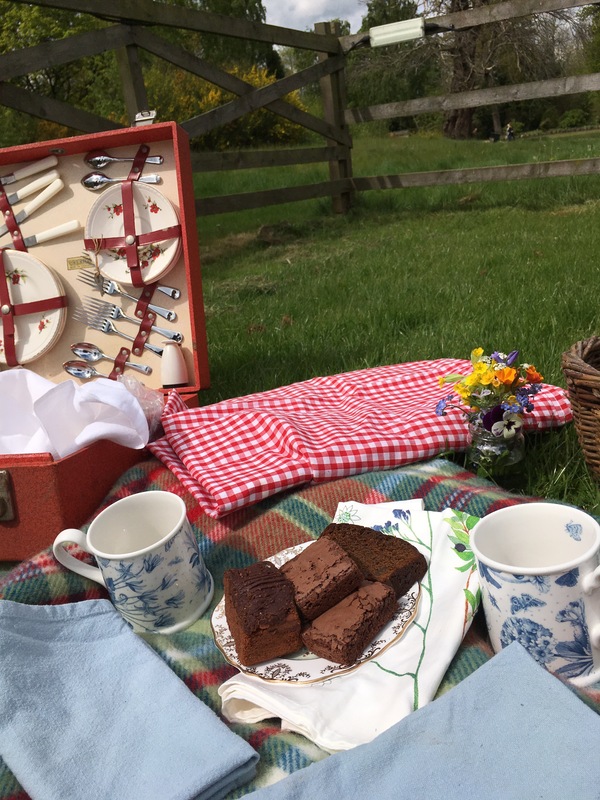 Are you a fan of picnics? Oh I miss bluebells! Lovely post. Bluebells and the first picnic of the season, how perfect. Not yet, but t I’d like to! Thank you Karen you are very kind. I’ll keep it in mind. Me too! I’ve got a little patch I call “Hodsock Corner.” Mum and I always buy some snowdrops and cyclamen every year. They are a favourite feature in our gardens now. Always lovely to have a reminder of a fab day out garden visiting. Thanks for taking the time to read and comment. All the best. Karen. Visiting some friends in Cornwall, I was amazed by the bluebells growing along the roadside verges towards their village. They looked so beautiful along with other wild flowers, any gardener would of been proud of it.